Google’s popular new phone, the Nexus 5, certainly is a snappy performer with its top shelf Snapdragon 800 SoC and 2GB of RAM, but there are ways to make it faster again. 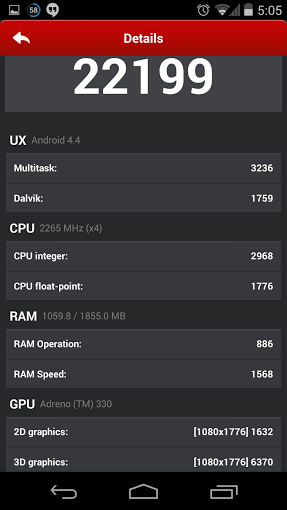 For those that would like to maximise the N5’s potential, there are tweeks that can be done that don’t require Root, or any special software side-loaded at all. These are already built into the Nexus 5 – you just have to access them. The first one is obvious, especially if you are coming from a Nexus 4 or older phone, and that’s changing your plan or telco to a 4G plan. The difference between 3G and 4G is astonishing – web pages open in an instant and browsing is a breeze. Your speed gains will vary because of factors such as your location and network provider, congestion in your area and more, but improvements will be very noticeable. 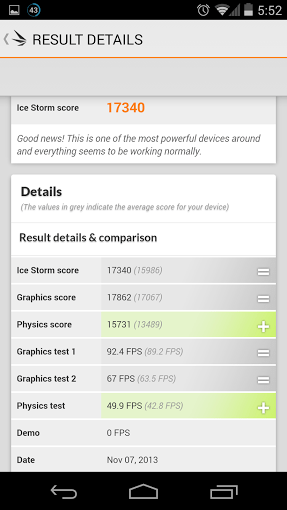 Now open Developer Options and scroll down to Window Animation Scale. You’ll notice that the default setting is 1x. Change this to Animation Off. Do the same for Transition Animation Scale and Animator Duration Scale. The next step in making your Nexus 5 really fly is activating ART – or Android Runtime. Scott Plowman reported on ART a few days ago, and I would encourage anyone looking to enable ART to read this article first. ART is a work in progress for Google, but they have been working on it for over two years, and it is included in the Developer Options, so they must have a lot of faith that it’s ready for use. I’ve been using it for a few days and I haven’t had a problem yet. There is much more to gain from activating ART than there are downsides (if any), and it does improve performance. Though the gains may be small at this “beta” stage, I’m confident that the next version of Android will be based on this. 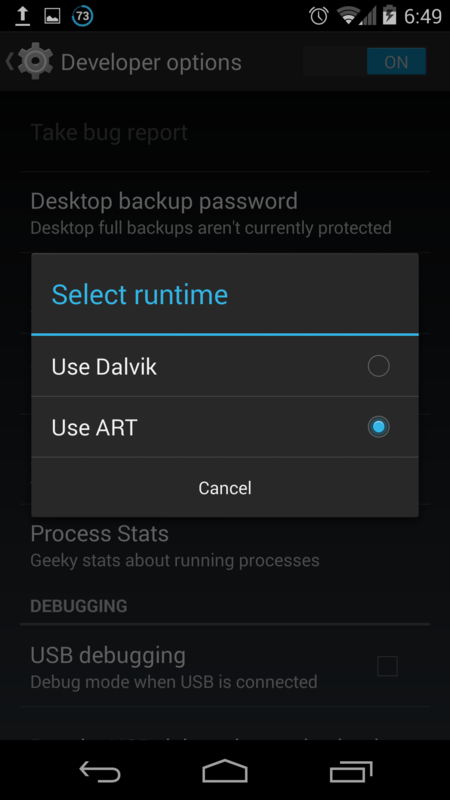 If you do encounter any problems, rolling back to the original Dalvik runtime is very easy. To switch to ART, open Developer Options in the settings, tap on Select Runtime, and press Use ART. The process will take around 15 minutes – and that’s it. 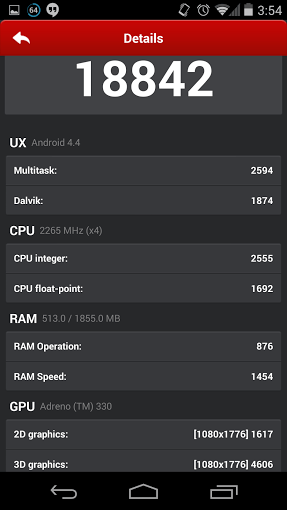 To return to Dalvik, do the same but press Use Dalvik. Now your Nexus 5 is fully optimised for as much speed as it can muster – without having to Root or flash a new Rom. 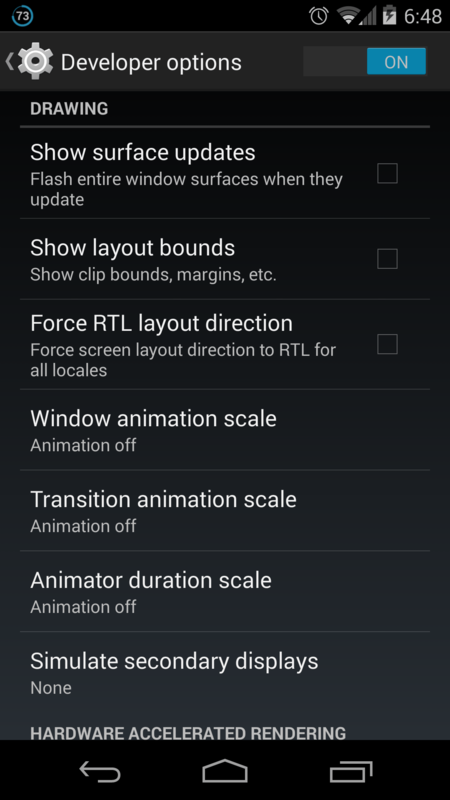 Reverting the animations/transitions and Android runtime back to the original settings is as easy as following the above steps again, and changing the settings back. Will you be speeding up your Nexus 5? Do you have any other tips or tricks? Let us know in the comments! I’m running WhatsApp on ART, a quick search on XDA will link to an older version that is ART compatible. Will enabling ART decrease battery life? ART crases Whatsapp at launch all the time. trying uninstalling and reinstalling the app. The same thing happens to me. WhatsApp crashes out upon opening. Tried clearing cache and data for the app and reinstalling. When trying to reinstall, the Play Store says that the package file is invalid. Tried a couple of times. No dice. WhatsApp hates ART. It has no paintings on its walls. None.